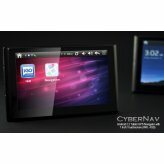 Get the most from your handheld media and navigation experience with this 2-in-1 GPS navigator and Android 2.2 tablet. 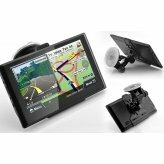 A 1GHz processor and 256MB of ram means this GPS navigator will find your destination in the blink of an eye. 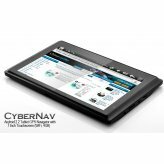 Even better, this tablet GPS navigator comes with the powerful SiRF Star IV GPS chip, offering greater functionality, faster GPS fixes, and higher performance than ever before. 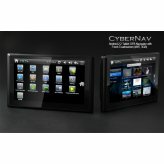 Have access to thousands of Android apps from the official Android Marketplace and other websites. 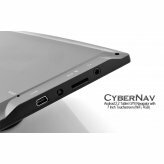 You have endless choices when it comes to Android, and you’ll find something that covers every possible angle for entertainment and function. 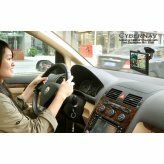 Try all the great social networking apps, including Facebook, Twitter, Google+ and Tumblr; so that you can keep up to date with all your friends and family conveniently. 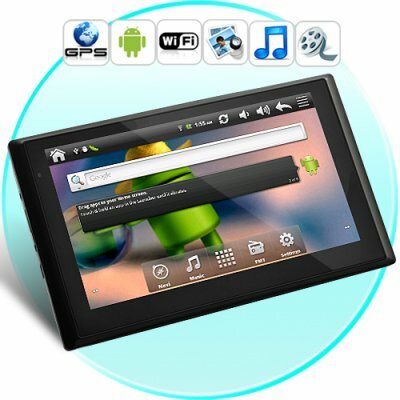 If you're more of a gamer, then choose from the many interesting and unique games on offer like Angry Birds, Fieldrunner, and much more. 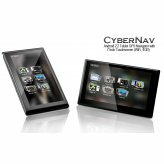 The CyberNav features a vibrant 7 inch touchscreen display that's not only great for watching the hours of video it can store, but it also makes for an easy-to-read and easy-to-use in-car navigation device. 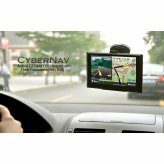 When you're in the car waiting, use the CyberNav to watch your favorite movies, listen to your favorite tunes, browse through pictures, or even read a few e-books. 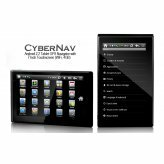 Available in our warehouse now, the CyberNav Android GPS Navigator is ready for immediate shipment to you or your customer. Guaranteed to be the next hot item in your online store, order now before everyone has one and make a nice profit for yourself! 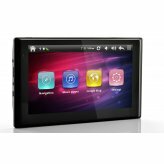 Brought to you by Chinavasion, the leader in wholesale consumer electronics.